"Very professional and answered all questions. Took his time to explain any questions we had concerning our house & property. Would highly recommend." "I have had multiple transactions (buying and selling) with Michelle Krogsgaard, and every experience has been phenomenal and very professional. Her persistence, responsiveness and knowledge of her expertise speaks volumes about her workmanship." "Mark knows real estate in the Cuero area. He worked with us and the seller and we closed on time. I would definitely use him again and recommend him to others." "Mark was awesome! Selling a home can be trying, selling a home in a town you don't live in is REALLY trying but Mark made it so easy. He kept me in the loop with showings, checked on the house, found someone to maintain the yard....treated it as his own. He is extremely knowledgeable with the area and the market and is very easy to work with. Thanks again for all your hard work Mark!" "When I decided to purchase a house for me and my son, I thought it would be impossible because we're a single-income family, but boy was I wrong! 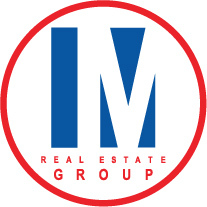 My lender recommended Mark Manning with the Manning Group. Mr. Manning immediately contacted me and sent me a listing of homes in my price range and the neighborhood I desired. He assigned a Realtor® to me, Michelle Krogsgaard, and we hit it off immediately. Michelle was extremely knowledgable and friendly. Knowing how nervous I was about buying a home, she guided me through the entire process. With Michelle, I felt I had a friend on my side - guiding me, but still giving me the professionalism of a Realtor®. I really appreciated that from her. As I was signing the final papers, I couldn’t believe how quickly and smoothly the process had been. Now I am a home owner! Thank you Michelle, and the Manning Group, for showing me and my son the kindness and support this first time home buyer needed!"